Perhaps you’ve noticed an unexpected spike in your utility bill that you can’t explain. Or maybe you’ve find that you can’t get comfortable in some rooms in your home because the temperature never seems right. This could be an indication that you need an HVAC duct cleaning service. It’s not only about staying cool on a summer day. It can also affect the indoor air quality, especially if there is damage to your ductwork. The sealed environment within your air conditioning system provides the ideal setting for bacteria and mold to develop on the evaporator coils or within the system. That can have harmful health consequences ranging from sneezing to worsening asthma symptoms. And if you’re not allergic to these allergens, you may develop this condition from repeated exposure. Penguin Cooling and Heating has the answers to your questions about routine maintenance for your HVAC system. Is It Essential to Perform These Tasks? 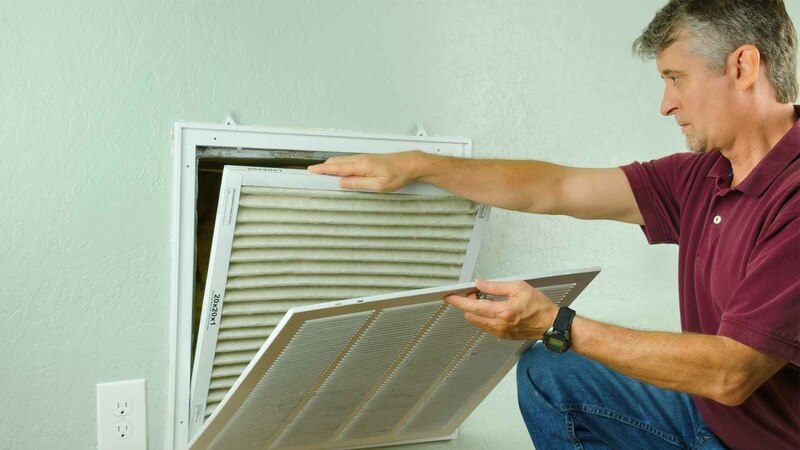 One of the primary reason to follow this recommended routine is to extend the life of your HVAC unit. Over time, it’ll operate less efficiently and cost you money in the process. It also compromises the environmentally friendly features of newer models. Without this necessary maintenance, you risk the expense of costly repairs and even the replacement of the entire HVAC. It will also improve the airflow of the unit to keep you and your family comfortable all year long. Then, there is the respiratory health of you and your family. That makes air duct cleaning priceless for the benefits it’ll provide. What Are Some Causes of Leaky Air Ducts? Buildup is one thing that weakens the performance of an HVAC system. Leaky ductwork is another one. Think of it this way. Instead of cooling or heating your home, it is allowing air to escape outdoors rather than keeping you comfortable. Other things that may affect its operation include ductwork in uninsulated areas such as attics. Your system has to work harder and ends up costing you in the end. It can even shorten the lifespan of your entire system. Damage can occur for many other reasons without you being aware of its presence. Our technicians can identify any existing problems even if you haven’t noticed any differences in air quality or increases in utility bills. Our team of professional technicians is EPA-certified and state-licensed to provide you with the best service in the industry. How Often Should I Schedule Maintenance for My HVAC System? We recommend that you get this service done each year. It’s an excellent way to prevent problems at the least opportune time in the middle of summer or the dead of winter. We offer both monthly and annual Penguin Plans to do the necessary preventive maintenance to keep your system running smoothly. The ounce of prevention you undertake will pay off in dividends and scores of comfortable days in your home. Why Should I Choose Penguin Cooling and Heating? Satisfied customers are our primary goal. We go the extra mile to make sure you get the service you need at a price you can afford. That’s why we use state-of-the-art technology and ensure that our team members stay current on the latest options available. We screen every individual to ensure that you feel comfortable with our employees in your home. An HVAC system is a significant investment whether you’re replacing an existing one or building it from scratch. It makes sense to put the same care into its optimal performance that can prevent and identify problems before they become money pits. You’ll likely find that the cost of this annual procedure is far less than an extensive repair. We understand the needs of our customers to plan for home maintenance. That’s why we offer a free estimate so that you can budget wisely. Indoor air quality is an insidious problem that has a simple solution. It all begins with a phone call or email to improve it while increasing your system’s energy efficiency. We’ll provide a free consultation and estimate with no surprises about cost. Contact us today at 704-296-0800 or message us to learn more about air duct cleaning Charlotte, NC. Our team is ready to help 365 days a year.